We offer wide range of permanent marker pen offered by are perfect for any type of official usage. 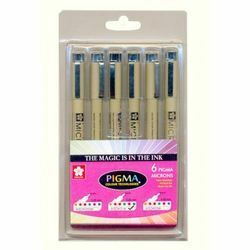 These marker pens are available in less-viscous ink which can be more-easily absorbed by paper. These pens are very smooth to write and comfortable to hold therefore, these products are widely demanded in the market. Shri Saibaba Goods Transport Co.